People who don’t realize they have a bedbug infestation may attribute the itching and welts to other causes, such as mosquitoes. 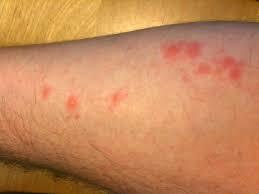 To confirm bedbug bites, you must find and identify the bugs themselves. 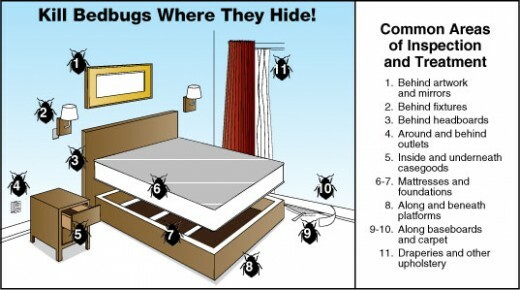 If you suspect an infestation, remove all bedding and check it carefully for signs of the bugs or their excrement. Remove the dust cover over the bottom of the box springs and examine the seams in the wood framing. Peel back the fabric where it is stapled to the wood frame. Also, check the area around the bed, including inside books, telephones or radios, the edge of the carpet, and even in electrical outlets. Check your closet, because bedbugs can attach to clothing. If you are uncertain about signs of bedbugs, call an exterminator, who will know what to look for. If you find signs of infestation, begin steps to get rid of the bugs and prevent their return. Clean bedding, linens, curtains, and clothing in hot water and dry them on the highest dryer setting. Place stuffed animals, shoes, and other items that can’t be washed in the dryer and run on high for 30 minutes. Use a stiff brush to scrub mattress seams to remove bedbugs and their eggs before vacuuming. Vacuum your bed and surrounding area frequently. After vacuuming, immediately place the vacuum cleaner bag in a plastic bag and place in garbage can outdoors. Encase mattress and box springs with a tightly woven, zippered cover to keep bedbugs from entering or escaping. 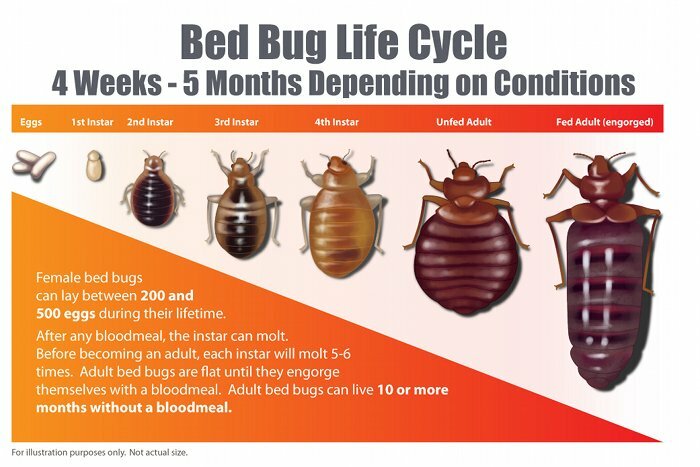 Bedbugs may live up to a year without feeding, so keep the cover on your mattress for at least a year to make sure all bugs in the mattress are dead. Repair cracks in plaster and glue down peeling wallpaper to get rid of places bedbugs can hide. Get rid of clutter around the bed. Spray around the bed and in cracks with non-toxic, 100% natural Bed Bug Rid which is found at Home Depot. If your mattress is infested, you may want to get rid of it and get a new one, but take care to rid the rest of your home of bedbugs or they will infest your new mattress. While cleaning up infested areas will be helpful in controlling bedbugs, getting rid of them usually requires chemical treatments. Because treating your bed and bedroom with insecticides can be harmful, it is important to use products that can be used safely in bedrooms like Bed Bug Rid. Do not treat mattresses and bedding unless the label specifically says you can use them on bedding.